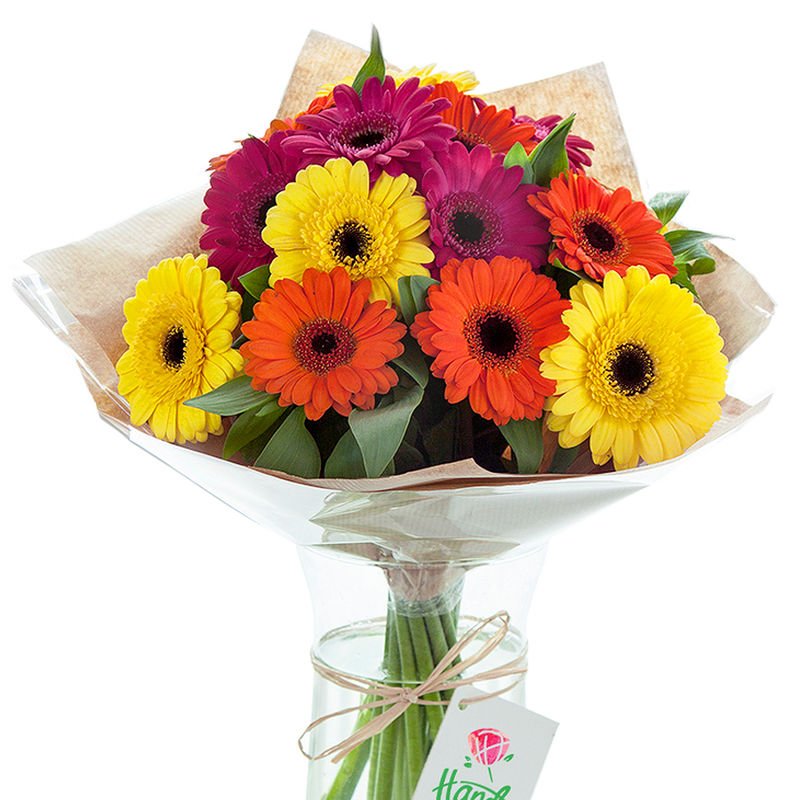 Fantastically vibrant and colourful hand-tied bouquet that brings cheer and smile. Hearty mix of sunshine yellow, burnt orange and cerise germinis make it irresistible to have. My mum enjoyed the bouquet you delivered for Mother's day. it was timely delivered in the early afternoon. Got the flowers delivered to my office as I wanted to surprise one of my colleagues. The girl was over the moon! Thanks! My recent experience with this company was very straightforward and enjoyable. Good service. My friends called and said the flowers were delivered safe and in very good state. How sweet! This is the most cheerful bouquet I've ever seen! The flowers looked even better than they appeared on the website. Definitely will order flowers again soon! Gorgeous creations! Fast delivery and cost-effective offers. Will use this flower shop again. I needed a nice bouquet for my aunt’s anniversary and chose Sunny Garden. The colours were stunning and when the bouquet arrived, I was pleased to notice that all the flowers looked freshly cut. Incredible combination of fresh flowers in vibrant hues! Just gorgeous! Sunny Garden was just what I needed for my friend’s birthday – absolutely gorgeous bouquet. Find it really easy to choose a bouquet when using the website – the pictures are clear and the details really accurate. Have ordered several times and always delighted with what I receive. They are always on-time, provide great updates and unbeatable products. Use them regularly. Just wanted to say thank you for delivering the flowers on time. I’m not very good on the internet, but find this website very easy to use and am confident that I am getting exactly what I pay for. Love the flowers, love the service and love how easy it is.